daytime TV, eating Nutella out of the jar, why don't I have a husband? How does one overcome this dilemma without making one look as though one is incapable of dealing with electrical malfunction? Last night I made a decision. I decided that I was spending too much time checking the internet on my phone instead of looking after baby, so I decided that from now on I would only check the internet on my phone if the baby was asleep. Or if someone had texted me, as one needs to be able to check texts immediately, as may be very important (case in point, this very morning I received a text from a friend telling me that she had just got engaged). This has all been going very well. What has not been going so well, however, is that in celebration of my decision to spend less of my life looking at a screen and not at Piglet, the television has decided it is no longer working. Aha, I thought. It’s on ITV at the moment. I switched it off last night after X Factor. Clearly what has happened is that there has been a ferocious but very localised storm which has blown over the main ITV transmitter. Let’s try BBC. Hmm. The main headline on BBC News is “Deal reached at UN climate talks,” but then, they would say that wouldn’t they? The terrorists have cunningly taken over the website as well and replaced the real news with an innocuous headline about the UN and climate change to make us think there’s not really been a hostile takeover and it’s all business as usual. Upon looking out of the window I then spotted that the television in a flat on the other side of the building was noticeably on, and appeared to be working normally. Oh God, maybe there’s something wrong with my TV, and it’s JUST ME, and I will have to figure out what’s wrong, and then fix it ALL BY MYSELF. I am just going to have to step up to the plate and be a Capable Woman. “There must be a problem with your building,” came the reply. Oh Christ, I’m going to have to climb onto the roof and start fiddling with the aerial, like Rod Hull and Emu. There are two potential solutions here: 1.) assume there’s a problem with the entire building and go and ask the concierge if anyone else is having problems with their TV, or 2.) assume that the problem is your TV and you’ve either unintentionally done something to cause the problem, like accidentally pull out the aerial despite the fact that after checking it multiple times, it definitely looks plugged in, or the TV/aerial is broken (the latter v. bad as have to purchase new one in time for X Factor final in four hours, with no money). The first one is easier, but is clearly going to result in me looking like a total idiot, bumbling down to the reception desk, explaining to the concierge that my TV isn’t working, and him giving me a withering look before asking if it is plugged in, before telling me that I am an idiot woman who doesn’t understand how to operate the most basic of electrical appliances. This is what always happens when trying to explain any kind of technical malfunction to a man. The second one is of course terrifying but, given previous experience with technicals, most likely correct. However, I must be Capable Woman and Resourceful Mother and not let any man know about this, as must prove to Piglet that women are just as capable as men when it comes to operating television, so that he grows up to be liberal, progressive, feminist man, and Mummy does not need to go running to her nearest male relative whenever there is TV problem, lost internet connection, dishwasher malfunction, broken lightbulb or any other type of household emergency. I decide to start exploring the many buttons on the TV remote to see what they all do and whether any of them will solve the problem. Aha! There is TV button called “troubleshooting.” This is what I need. Thank you, O holy TV remote. Ah, aerial is set to “air.” Clearly this is not the problem as it was working yesterday with identical settings, but maybe it needs to be changed to “cable” now, even though I do not have cable TV, as TV is, like, digital now. Maybe BBC website has something to say about this. Maybe there has been whole-country changeover to cable television and all aerials need to be reset. Go to BBC website. Headline is still “Deal reached at UN climate talks.” Perhaps this cable TV changeover is so universally known by everyone except me, that it does not even merit a mention in national news. But I read the Guardian Online every day, and nothing has ever been mentioned. Perhaps the Guardian is too interested in worthy news stories about social issues and feminism and why I should be able to work my own TV, as a Capable Woman who does not need the help of men, to mention small thing like entire country cable TV changeover. Right, let’s reset all channels by tuning television again. I know how to do this. This is easy. 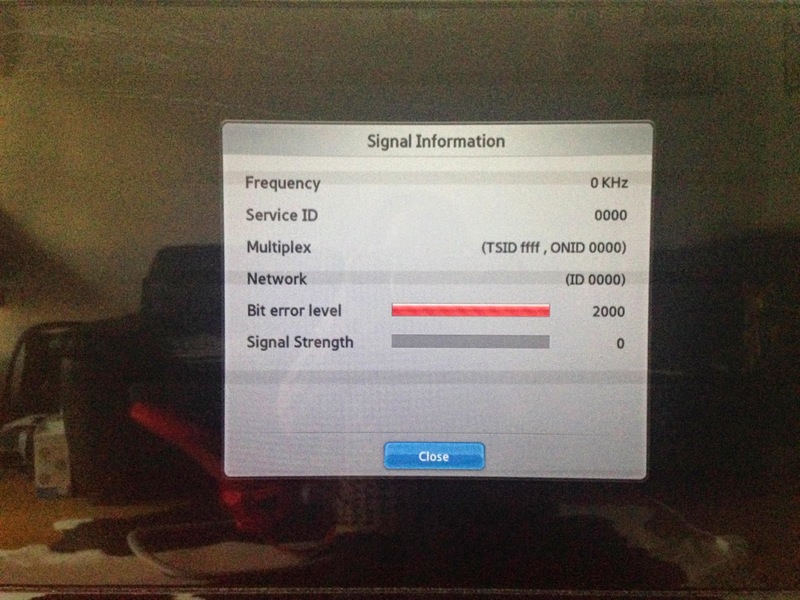 Argh have lost all TV channels, possibly permanently. OK let’s see if there is whole-building TV aerial malfunction. Definitely not going to climb onto the roof like Rod Hull, so will just have to bite my lip and ask concierge. Will need to go to Cafe Nero first, and purchase latte to steady nerves. After peering through door into reception area, it turns out that it is Nice Concierge on duty, and not Smug Concierge, who once previously gave me withering look in relation to not knowing how to read the electricity meter. Breathe sigh of relief. THANK THE LORD. Am Capable Woman. TV is not broken, and I have not unintentionally forgotten how to plug it in. Compared to this, not being able to watch X Factor final is minor inconvenience. Previous Post Who is even allowed to use the birth centre? I admire my single friends. I’ve noticed they’ve worked out how to do alot things on their own while I just send the other half in to save us when something goes wrong in the home or if something needs put up, or some electrical issue just out of habit. They seem to have learnt all this as they haven’t relied on a man. It’s inspiring. So I think I need to stop doing that and learn to be more independent myself. I’m glad your TV is sorted ? Thanks! I can’t even drive so as much as I would like to think I am a strong independent woman, basically I am just someone for whom life is very often extremely inconvenient!